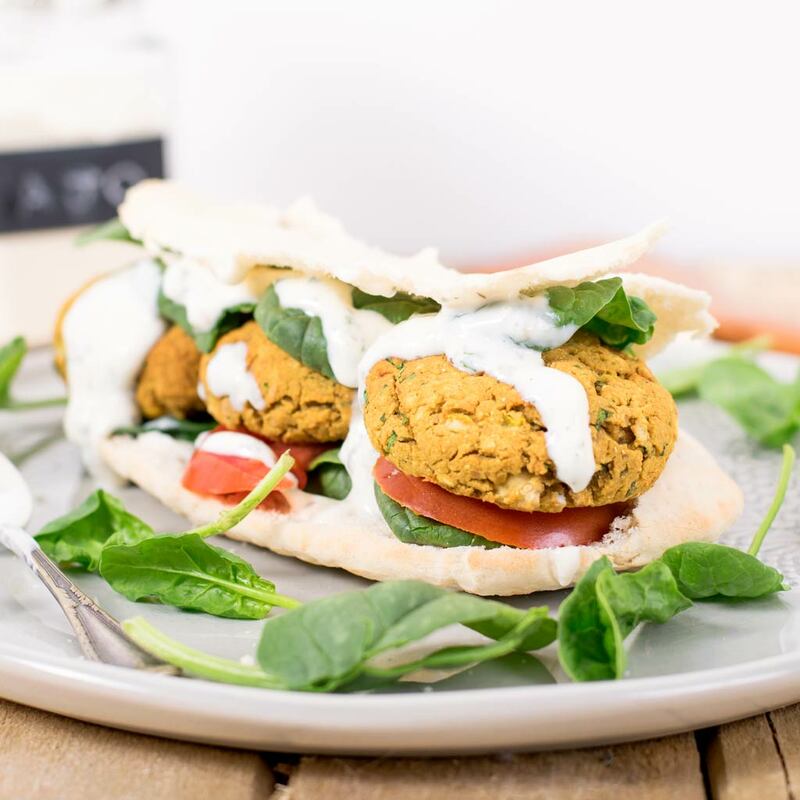 Today’s recipe is a enhanced version of the chickpea falafel recipe I posted a years ago (a very old one haha). 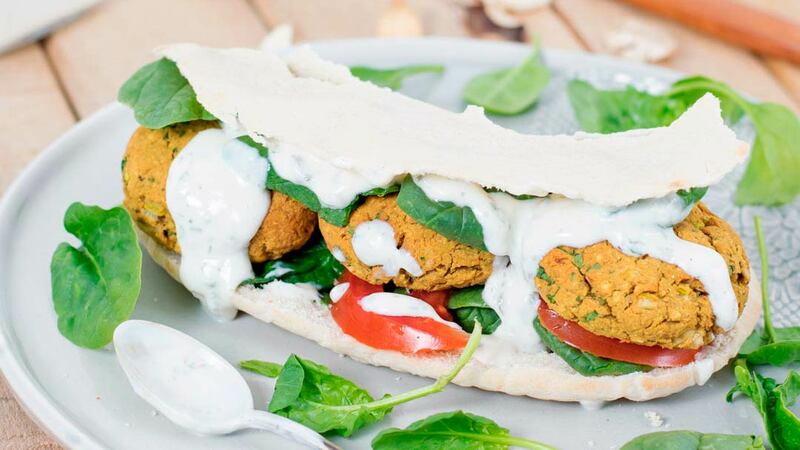 This nre recipe is ideal to make oven-baked falafel, in case you hate frying just like me, in addition frying gets the entire kitchen dirty, right? 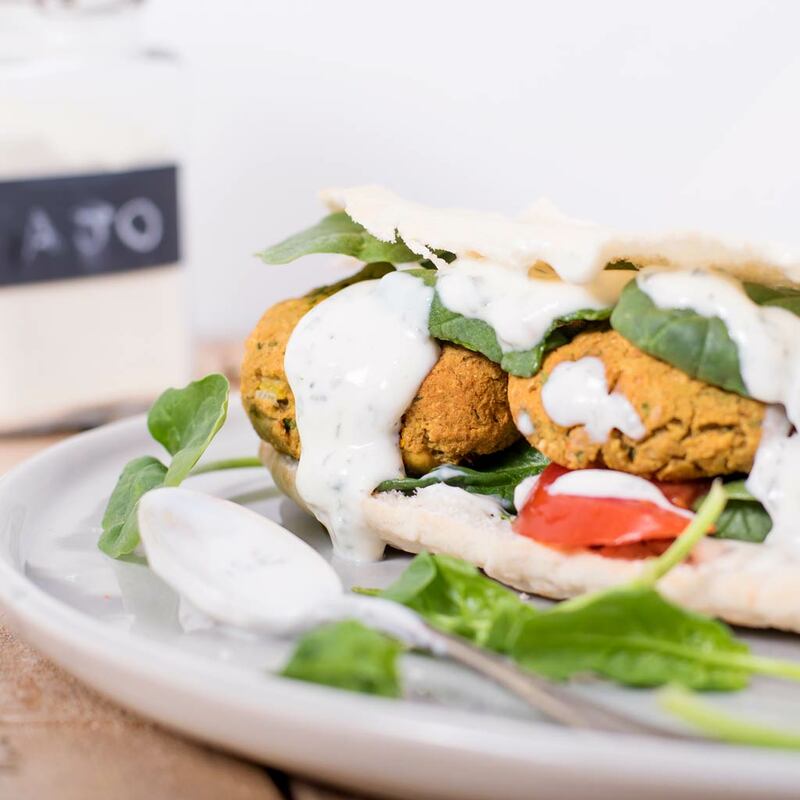 On the other hand, this recipe comes with a bonus, because you’re also going to find the yogurt recipe, which, at least for me, is essential to have along a good falafels, specially if you have them with a wrap or pita bread. Anyway, if you want to have them in a salad, this sauce will be the perefect dressing. And if all that wasn’t good enough, I have to tell you this recipe is incredibly easy, so there’s no excuses! 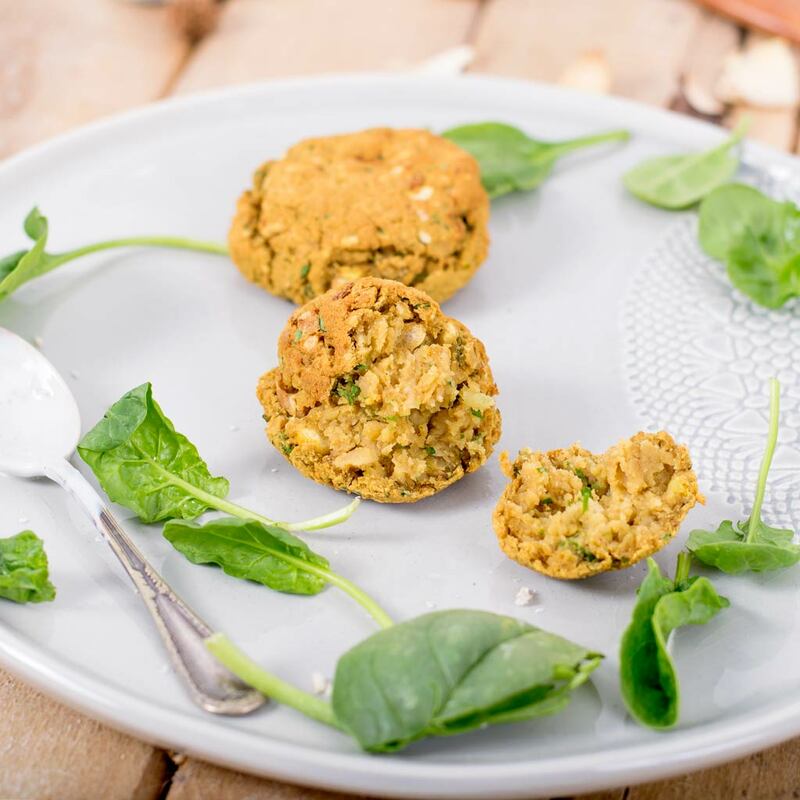 As advice, you can prepare as many falafels as you want because this falafels can be frozen and when you want to eat them, just have to put them into the oven and bake. Add the onion, all spicies and water and mix by hand. Add the breadcrumbs and mix again. Shape balls as big as a ping pong ball and let rest for 20-30 minutes. Preheat the oven up to 360 F.
Place the balls on a tray with baking parchment and squash the balls. Bake for 15 minutes and that’s it! Sauce: put all the ingredients together into a bowl and stir well.